Well here it is. The follow up on my promise, and the very first Smithocracy DIY. We had some good guesses on what I could possibly have seen in these scraps of found wood. 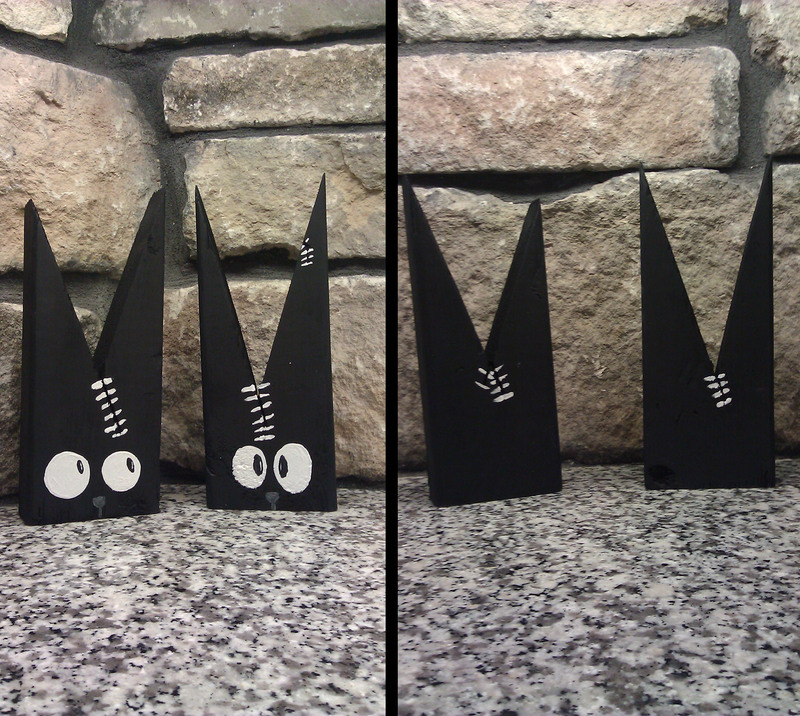 Yep, just some silly spooky cats for Halloween. The pointy ends really spoke to me. So not the most amazing project, but since all of our decorations are in storage, my kids were pretty happy about it. 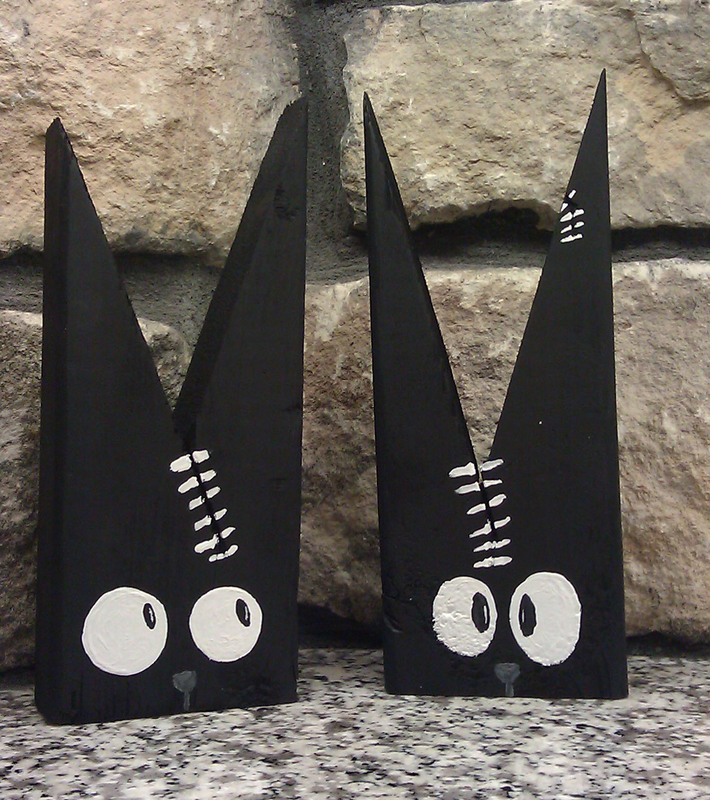 Here are some directions for those of you who want your own Silly Spooky Kitties. 1. 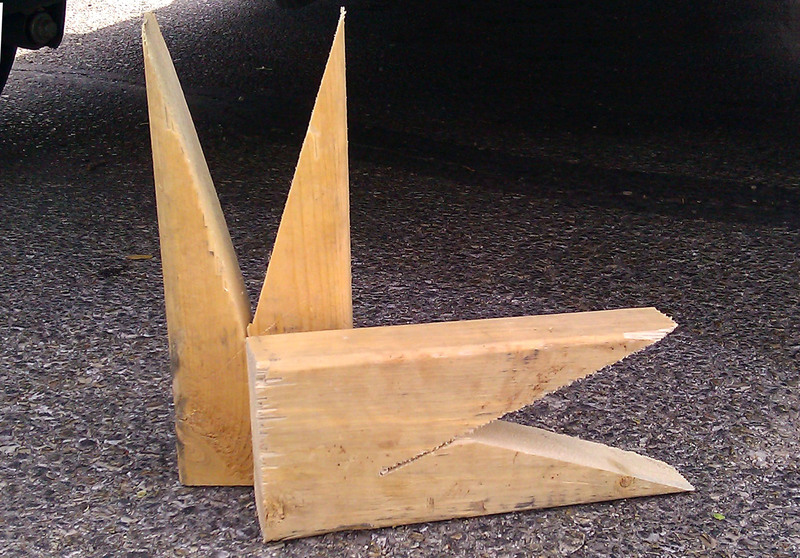 Find random scraps of wood that are shaped like the cats. If you know where my house is, then go grab some, because I think there are still some lying around. Now that of course is not the only solution for step one. 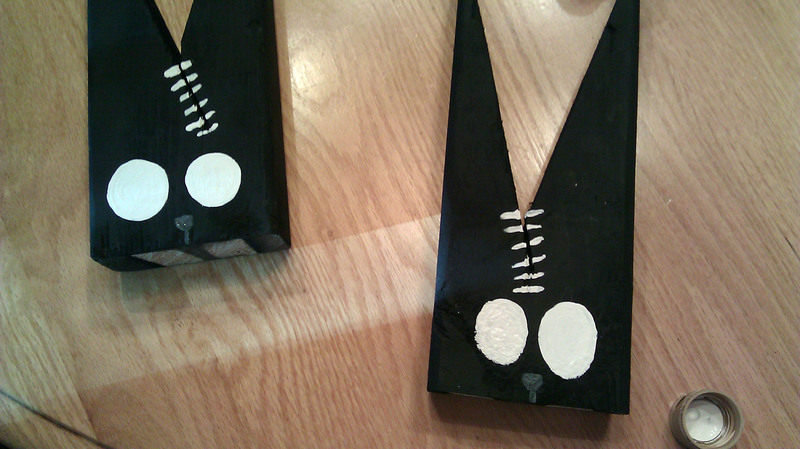 The other option is to get a 2×4 and cut out the top to make the ears. Don’t worry about cut marks, as those can be made into stitches later. 2. 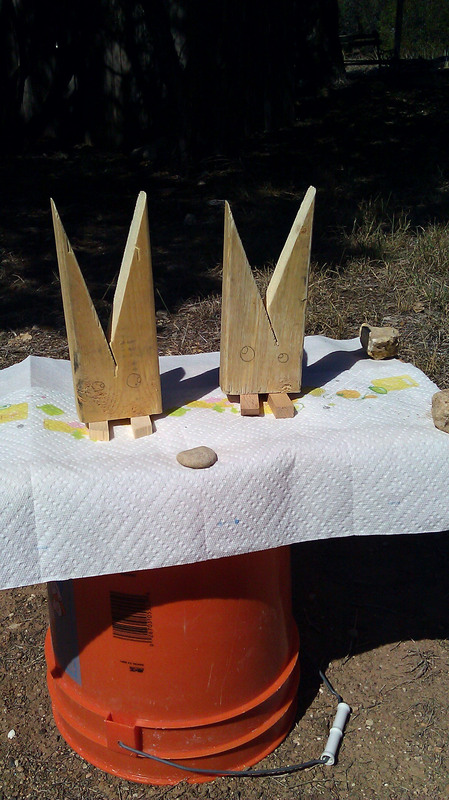 Sanding. Now I would have rather sanded more then I actually did, but I could only find a small little scrap of sandpaper in my Dad’s workshop. So I did the best I could with what I had. Now my first instinct was to fill the cuts with wood filler, but again, that was in storage. So I decided to ignore them and see what I did later. You can fill with wood filler if you would like. 3. Next step was some paint prep. 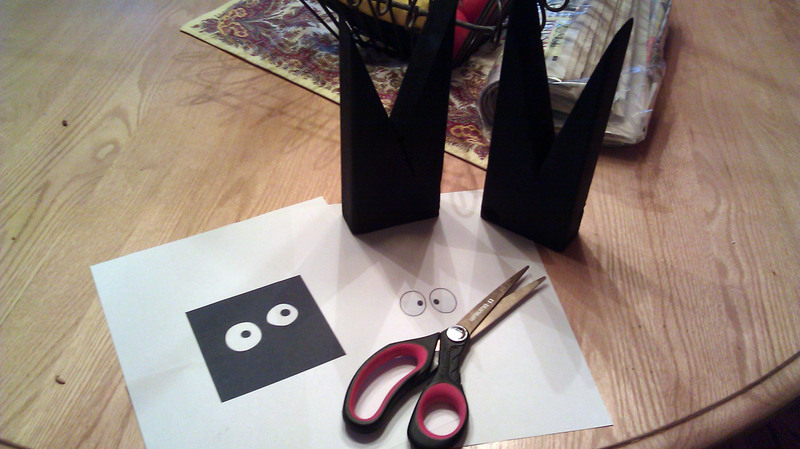 I wanted to see how the eyes may look, so I drew some out, and then set up a little spray table. 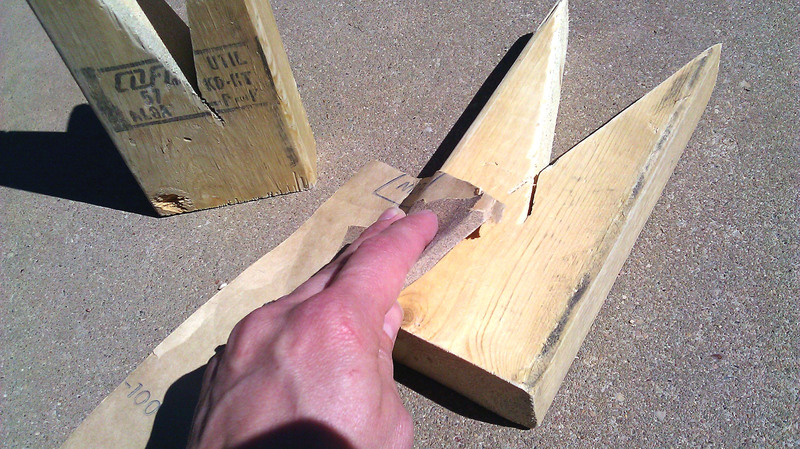 Don’t forget to prop the wood up a little so you can get all the way down to the bottom edges. 4. Paint. 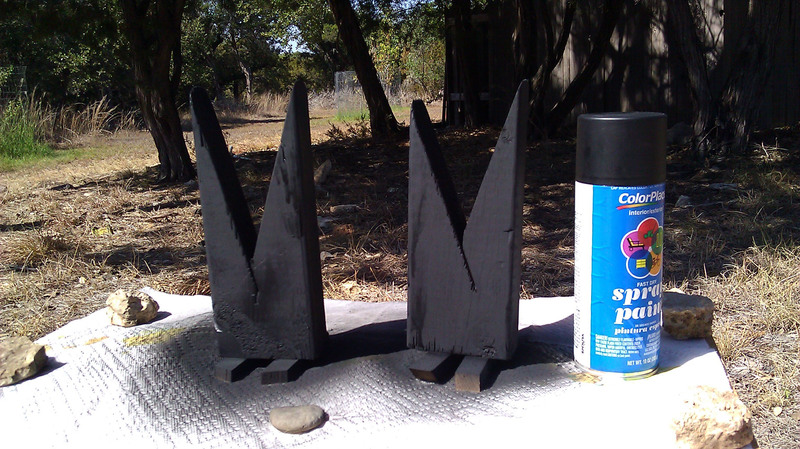 I just grabbed the nearest black spray paint available in the work shop. 5. 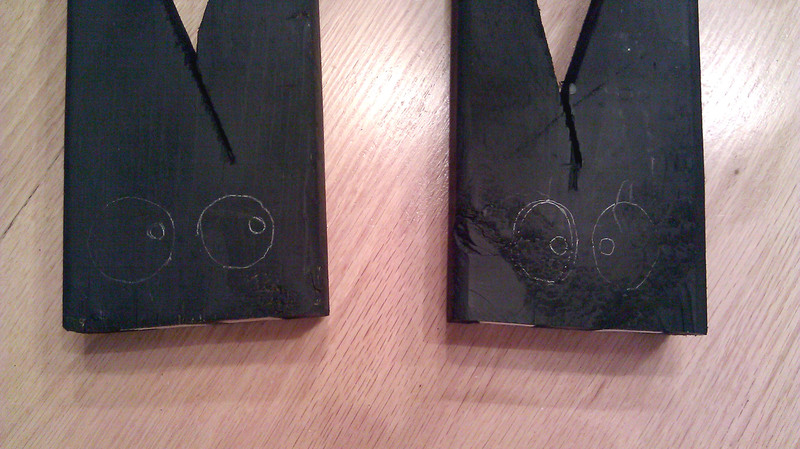 Once it was dry I took them in and experimented with eyes again. I googled “spooky eyes” and printed out a couple. I cut them out and laid them on top to see which we liked better. The Smithocracy vote was 50/50 so we did one of each. So I traced them on. 6. Paint. Once again I just grabbed whatever was handy. 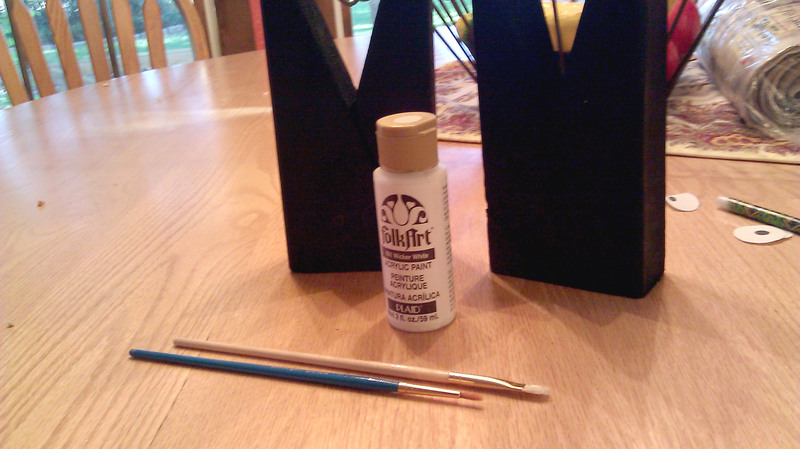 Fortunately my Mom had some craft paint and brushes in a closet. Otherwise this was almost done in white out. 7. Once the eyes were on, that is when I decided to do stitches over the cracks. Problem solved! 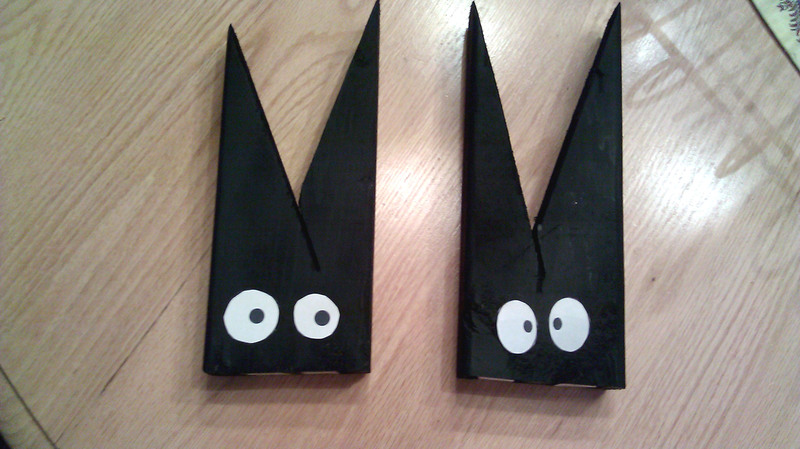 I waited for the paint to dry and then added the black pupils with black craft paint and voila! Silly Spooky Kitties. Don’t forget the back! Kind of a silly project, I know. I will try to come up with something better next time. But at least it got the ball rolling! Everything was found or on hand, but my best guess would be under $20 for sure. 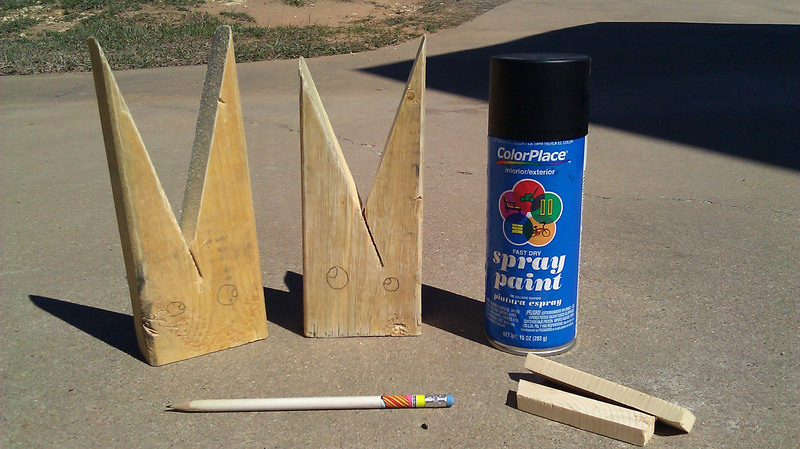 Do you have any Halloween projects you have done or are planning on doing? Do you plan to do this one? If so, head on over to The Smithocracy Facebook page and share a photo of your creation. Happy creating! This entry was posted in DIY and tagged cats, DIY, Halloween by The Smithocracy. Bookmark the permalink. I hope you posted this to share because I’m stealing the idea. Soooo cool!!! I absolutely love it! Of course! Just share a picture of it with me. Good luck! That is so cute!! 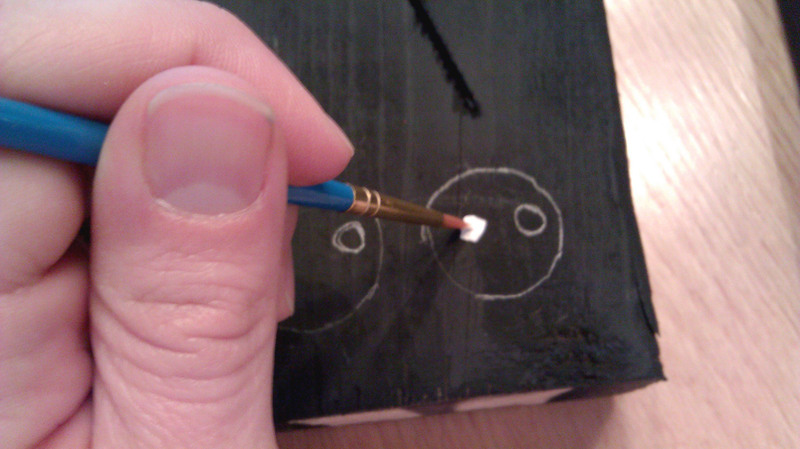 They are smaller than I was thinking, so definitely too small for directional posts. Oh well. Thanks Becky! I should have put a “something” to give an idea of scale.